I’d been trying so hard to figure out if I like the Burberry Light Glow Blush. At RM140 (US$42) a blush its a hefty price to have to pay, especially when thats the same price we pay here for a Chanel Joues Contraste blush (which I happen to love). Burberry had a lot to live up to! In terms of packaging, I have nothing to fault. The blush compact is slim and sturdy and is very subtle about the brand. The cover is embossed with the signature Burberry check and the name is embossed on the side. Having a shiny metallic surface, the blush is a fingerprint magnet! I have to wipe it down every time I use it. The case closes with a magnet, which allows for it to have very smooth lines. Despite the metallic surface, I like the packaging. The colour I have is No. 8 Misty which is a very light pink. I must confess to a slight sinking of the heart when I first saw this colour. I was afraid it would just not show much. Also, this picture actually shows the blush already quite well used. Yet the etching on the surface is still pretty much intact. So yes, the beautifully etched surface will flatten over time, but we’re talking a lot of time here. I’ve tried using a variety of blush brushes with this blush but I’ve since learnt that the best are natural hair brushes. The powder blush is quite well packed in this particular colour, and if I use a synthetic hair brush, I have to brush it across a few times for it to pick up colour. With a natural hair brush, I need only roll the brush over once, and it picks up enough colour to apply on the skin. The brush included is pretty decent – not too floppy or scratchy – so I use it when I travel with this blush. Here is a picture of the Burberry Light Glow Blush swatched once on the back of my hand. It is well pigmented and shows up quite well on the skin. I think its a nice enough blush and a neutral enough colour that will suit most if not all skintones. It can be layered for greater intensity without looking powdery and chalky and on light skin, it works with just one sweep of the brush. The pigment in this one is sheer without compromising on colour so you end up with quite a lovely glow instead of colour, as such. Quick and easy! As for whether this lives up to the Chanel blushes of the same pricetag, I’d say its a bit of a toss up. I started out thinking that I’d prefer the Chanel ones. I was quite convinced of it. But after a few months (yes months!) I’ve decided that they are not quite the same. The Burberry blushes are pressed powder while Chanel Joues Contraste is baked. 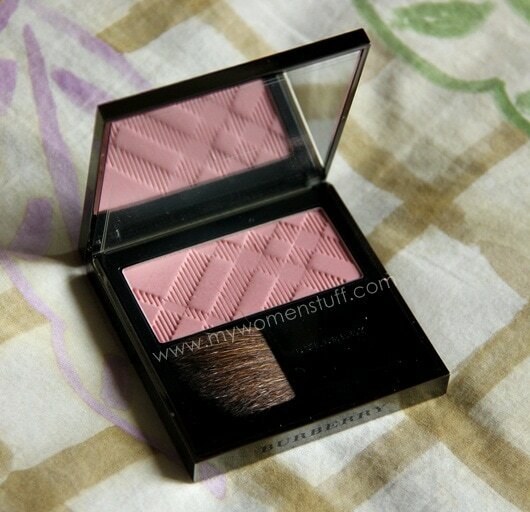 They feel different to the touch and I find Chanel blushes do tend to have shimmer, no matter how minute (which I like) while this particular Burberry Misty one is matte yet imparts a sheer glow to the skin. I also find Chanel JC blushes more pigmented compared to the Burberry Light Glow blushes. Being a blush ‘ho I can pretty much justify getting both 😉 If you aren’t then I’d suggest that you take a look for yourself to see if you like the range of colours offered and the texture. 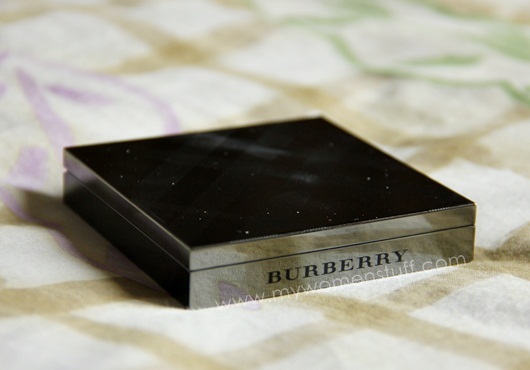 Burberry Light Glow Blush retails at RM140 each at the Burberry Counter at Isetan KLCC. No. 8 Misty was introduced in the Burberry Spring/Summer 2011 collection and is permanent. Disclosure: Featured product is a press sample. For posting guidelines please read my disclaimer. NEXT POST: Your Say: What is one beauty don’t that you do? Looks pretty. But is so light from the packaging do you have to swipe a few times to get the color out? It depends on the type of brush I use. As noted in the review, when I use a synthetic blush brush, I need to swipe a few times to get colour but with a natural bristle brush, I can just swipe once to pick up the colour and deposit it on my skin, or at max, twice. Yeah I was quite surprised too! It actually looks blah in the pan eh? I think I’d go for Chanel, I like a bit of a shimmer and if you initially had liked it better than Burberry, there must be something about it, especially coming if the Blush Queen said so herself! For a first high end blush, I’d do Chanel Joues Contraste first too. I personally find their formula more unique. Burberry is good if you don’t like the shimmer or the baked blush texture or already have a Chanel JC and want something different. But… I’m not really digging it, due to the price. And, I’m currently makeup-satiated for now, yay! Yep all metallic surfaces tend to do that. The consolation I guess is that its not the super highly metallic finish so although it captures fingerprints its not that marked. If you know what I mean 🙂 Otherwise, the blush texture is lovely. Wow, that’s soooooooo nice! Me wants! This color looks so pretty on you! And the packaging is pretty and chic too. Too bad it’s so expensive! Thank you Gio and yes, my wallet doth protesteth at the price too! Since I live in the UK, I will test these out. I prefer a more matte, non-shiny look, since I have full cheeks. Thanks for the review! I do think you should check these out Jamilla. There aren’t many colours but they have some good neutral shades available. just wondering, is this similar to thebalm’s down boy, being also a matte and pink blush? Wow, give you such a natural glow! I like the soft medium-cool color and the glowy matte finish. Elegant and wearable. It looks lovely on you! For those with warm skin, I do highly recommend checking out Tangerine! It’s a complete matte blush though. So those who are used to light shimmers (Japanese style), probably wouldn’t end up liking it. But oh gosh, I do love the Tangerine blush enough to recommend it.